The internet has been abuzz. The provincial government of BC lived up to an election promise by removing the cap on its insulin pump program. There was celebrating in the streets…until the fine print of the new program was read. You see, this program will be unlike any other program in the country. It will be a two-tiered program that seems to favour one insulin pump company over the others. The issue is complex and very emotionally charged. Let’s take a closer look and you can decide for yourself if this is a step in the right direction or a step on a new and slippery path. This is big news. Adults no longer have to pay for their insulin pump out of pocket if they don’t have private insurance. One pumper I spoke with as spent almost $20,000 to purchase insulin pumps over the past 15 years. That is a lot for an individual to come up with every 5 years. It is not surprising that she sees this as a welcome relief! This is the news that has some people scratching their heads and wondering if this is such a good program after all. All residents with diabetes will be eligible for an Omnipod insulin pump and supplies under tier one. There will be no deductible for this system. If you do not want this insulin pump system and feel that a Medtronic insulin pump would be better suited for your needs, you will have to convince your doctor of this as well. Under tier two, a portion of your insulin pump and supplies will be covered if your physician prescribes a tubed (Medtronic) insulin pump. If you simply want to own a tubed pump but your doctor does not deem it medically necessary, you will have to pay all costs out of pocket. You can read all of the details on the BC government website here. There is a school of thought that any pump is better than no pump and I can agree with that. 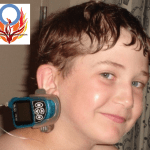 If you want to use an insulin pump, then this is a fabulous option if you have no coverage. You can also work with your doctor to attempt to get some relief on a tubed insulin pump if that is your preference. Some people are claiming that this is a huge coup for the little guy. The small insulin pump company Insulet is the preferred insulin pump for the province. That is rather significant I will agree. One thing that I always tell people who ask me for tips on advocacy is to think of their “ask” as a cookie. Every piece of the cookie that you get is a step forward. Often you don’t get the entire “ask” (cookie) at one go so you keep asking. You keep enjoying each bite, knowing that you are working towards having that entire cookie. For residents of BC, this is another step towards the ultimate cookie. There were pumps for kids. There were pumps for adults up to age 25 and now there are Omnipods for anyone who wants them and assistance on tier two, tubed pumps. It another step towards the goal of coverage for everyone regardless of age who wishes to use a sensor-augmented insulin pump. Congratulations BC residents on your new insulin pump program! This year we have seen many mandatory evacuations because of both hurricanes and fires. When you live with diabetes in your home, how do you prepare for disasters? Do you have a list of evacuation supplies checked off and ready to go? People in the hurricane states, often have an emergency tote or bag that they can grab on the way out of the door but remembering everything that you could need can be a challenge. 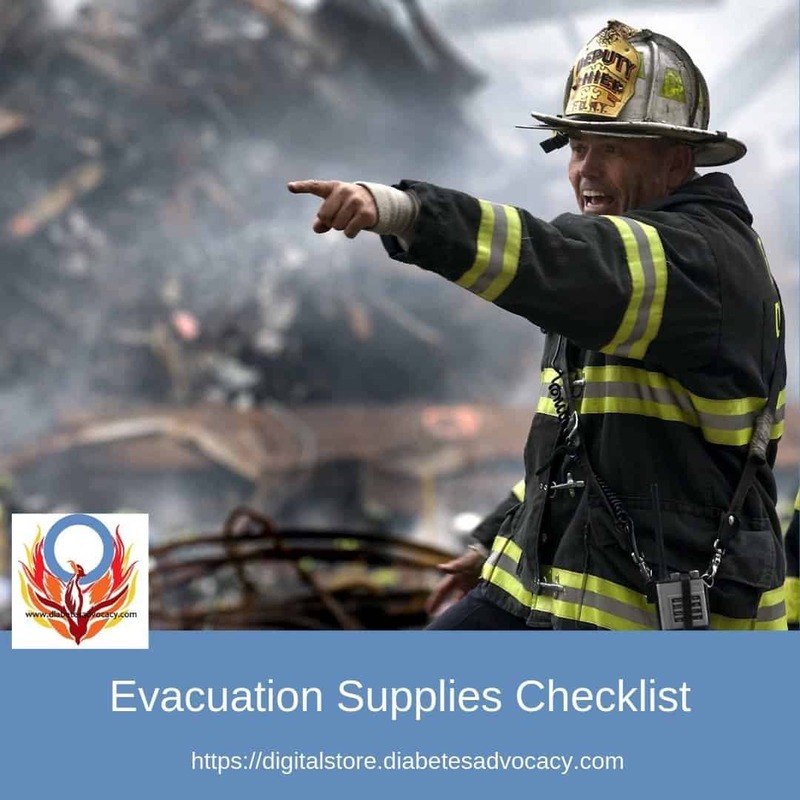 Over the years, we have come up with a detailed list of evacuation supplies for people with diabetes on the Diabetes Advocacy website. 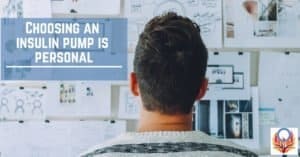 In lieu of recent events, I thought that it might be a good time to go over some of the items with you. Download your free emergency supplies checklist here. As I mentioned, it is important to have all of your supplies in a quick, easy-to-grab container. Evacuations can be planned, but sometimes you are only given minutes to have all of your valuables ready to leave. Make sure your diabetes bag is always in the same place so that you won’t waste valuable time trying to find it. Make sure that you have some of the basics like a Frio pack if you live in a warm climate. You will also want a flashlight and spare batteries in case your area loses power. Candles and wooden matches can also provide light and heat if need be. A first aid kit should also be in your emergency container. While you may have a lot of diabetes supplies, other medical emergencies can happen and basic first aid is a must. Don’t forget to add anti-diarrhea and anti-nausea medication to your kit. You should also have copies of all prescriptions in case you are away from your home pharmacy and need to access your medication refills. We have all seen the images of people stocking up on cases of water and in an emergency it is vital. If you have drinkable tap water, fill up milk jugs, juice jugs, and other items with water to take with you. Also pack juice packs, tinned food as well as cheese and cracker snacks. If you pack tinned items, don’t forget a hand can-opener as well. It is recommended that you pack two weeks worth of diabetes supplies with you during an evacuation. Consider bringing a spare meter, spare batteries, alcohol wipes, pump supplies, insulin, syringes, ketone strips, and medical tape. Don’t forget to bring spare blankets, cash in case bank machines are down, and pet food for your furry family members. 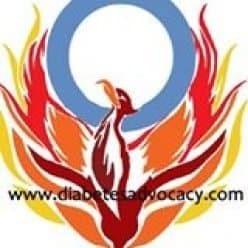 I am sure that I have forgotten a few things but I would suggest that you view the Diabetes Advocacy Emergency page or download the emergency supplies checklist. This will help you feel a bit more prepared should a disaster hit your community. Get your free emergency supplies checklist here. Its summer!! I mean it really is finally summer! Some areas have been enjoying great weather for a bit but where I live–well, I kind of wondered if summer was ever going to show up. Now that it is really here, let’s talk about a few tips for managing diabetes in the summer months. Keep your insulin and test strips cool. Summer heat can literally ruin blood glucose test strips and insulin. If you are on injections, make sure to keep your insulin stored in a cool place. If you are pumping, again, make sure that your pump doesn’t get overheated. You may even want to consider changing out your cartridges more often to ensure that your insulin is fresh and hasn’t been compromised by the heat. Test strips also react to extreme temperatures. Again also make sure that they are stored in a cool place. If you are traveling to the beach or theme parks, you may want to invest in a FRIO Insulin Cooling Pump Wallet . They are convenient little cooling packs that will help to keep things chilled. If you don’t have access to Frio packs, another great suggestion is to use frozen juice packs. You can keep your supplies cool and are prepared for lows! Mastistol and Antiperspirant are pumpers’ new best friends. Summer often means swimming and swimming can mean chlorine. Chlorine can bring extra headaches for people with diabetes using an insulin pump in the summer. Personally, the only way for us to keep sites on in chlorine was by making sure that a product like Mastisol Liquid Adhesive was used on the skin prior to set insertion. For people using an insulin pump and/or a CGM, you may also want to look at using an antiperspirant on the site. Apply a light coat of antiperspirant (not deodorant) to the insertion site area. This will help to keep sites in place when your body begins to sweat! Summer heat can bring its own challenges for managing diabetes. It tends to mean more exertion and rapidly dropping blood glucose levels. Make sure to carry extra snack foods with you wherever you go. One parent suggests that you stock up on Freezies. They are perfect treats for lows and also help ward off dehydration. Other families have suggested fruit and frozen grapes as must have snacks for on the go. Dehydration is a real problem in the heat. It is especially important for people living with diabetes to stay hydrated because dehydration will cause blood glucose levels to spike. Heat, exhaustion and the fun of the sun can really mess with blood glucose levels so make sure that you test often to avoid any serious diabetes related emergencies. As I have said, infusion sets can fall out. Blood sugar levels can go crazy. It is vital that you carry extras of everything–extra snacks, extra water, extra test strips, extra insulin and extra infusion sets just in case. I know, everyone is supposed to wear sunscreen so really is this a diabetes issue? Well no…and yes! It turns out that sunburns have been known to really mess with blood glucose levels. The moral of the story? Stay hydrated and wear sunscreen to help keep blood glucose levels in check. Finally, in Canada especially, we just don’t seem to see summer for long enough so plan ahead and enjoy all that this summer has to offer you and your family!